Above is my entry for Project: Rooftop’s recent “Batgirl Begins Again” costume redesign contest, celebrating the sites eight-year anniversary. Today they announced their “Top 3 Entries” for the contest, and I’m happy to say I find myself as one of them. Paired with two stellar designs by the incredible Chris Samnee and Elizabeth Beals, I’m pleased as punch. Please do click on through to their site to see all three designs as well as scoring and comments from the P:R panel of judges. 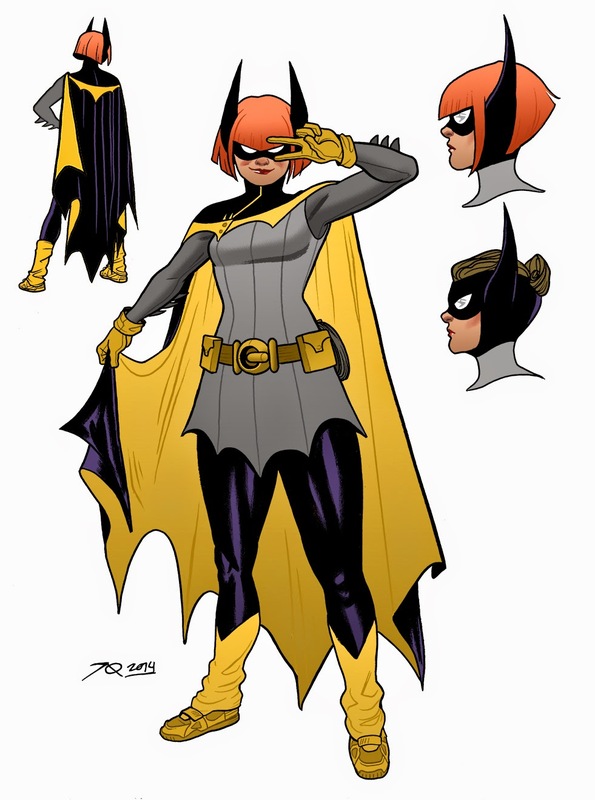 Speaking of which, I tried to address their very valid point about Barbara’s cape, doing a quick fix where I extended the fabric up over her shoulder and neck, adding a zipper, so it’d be less likely to fall off. Brett White (of Matt and Brett Love Comics) said “this is a design that I could easily see on a dozen+ cosplayers…” and I so hope he’s right! That’d be awesome. Let me know if you do! I like the cowl fix. I don't think it take anything away from the original design at all. Overall, really amazing design. All three of them were, really. I'm curious to see the other entries. I absolutely love this, Joe! I have a couple characters I'm looking for an illustrator/designer to help me costume. I'd like to chat with you about rates, but I can't seem to find a good contact link for you. How should I contact you?